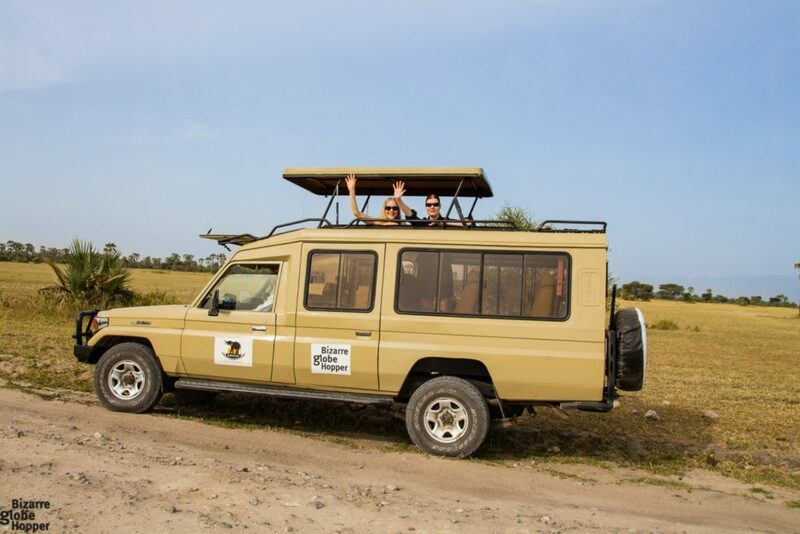 Providing a memorable experience is our priority, and we're proud to that our African safari experience has been featured in the press and media. 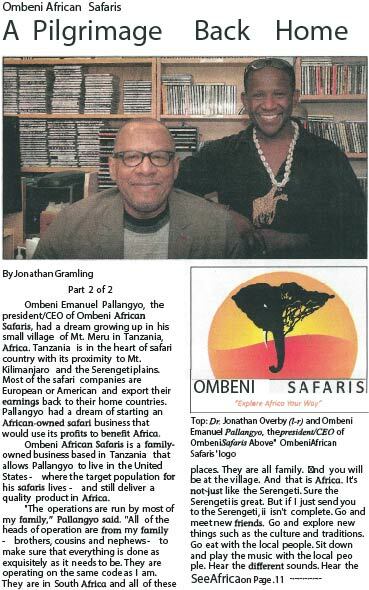 Ombeni African Safari founder, Ben Pallangyo, is an avid supporter of Wisconsin Public Television. 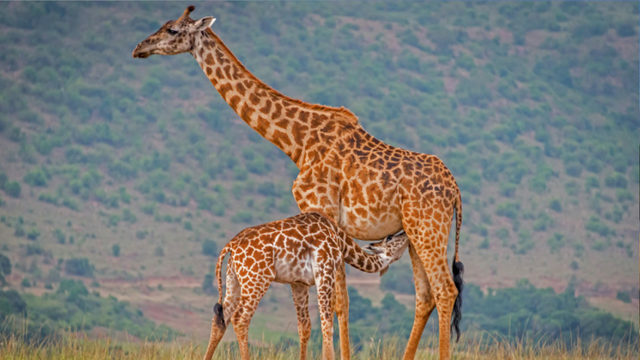 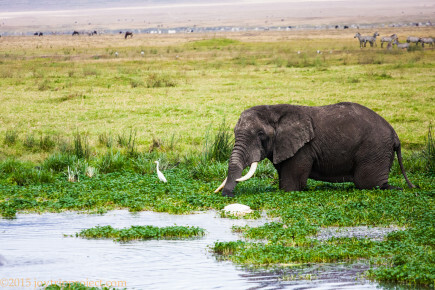 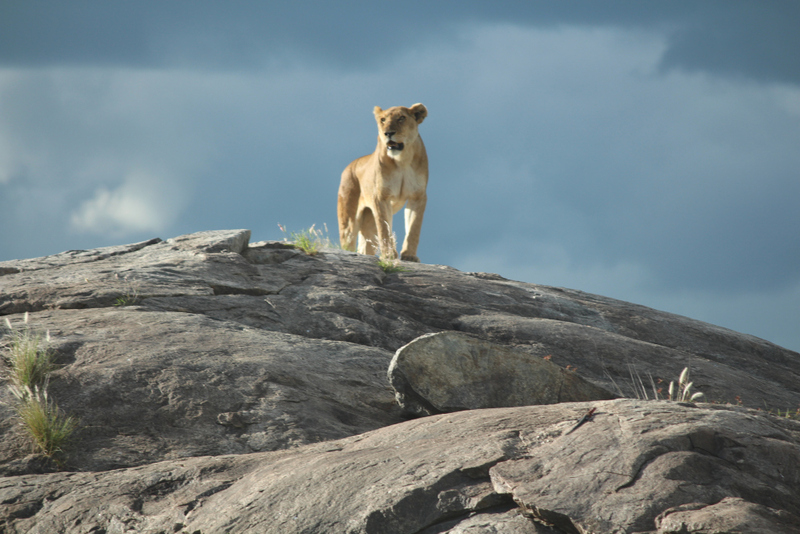 Each year, he donates at least one safari valued at more than $6,900, for their fundraising auction. 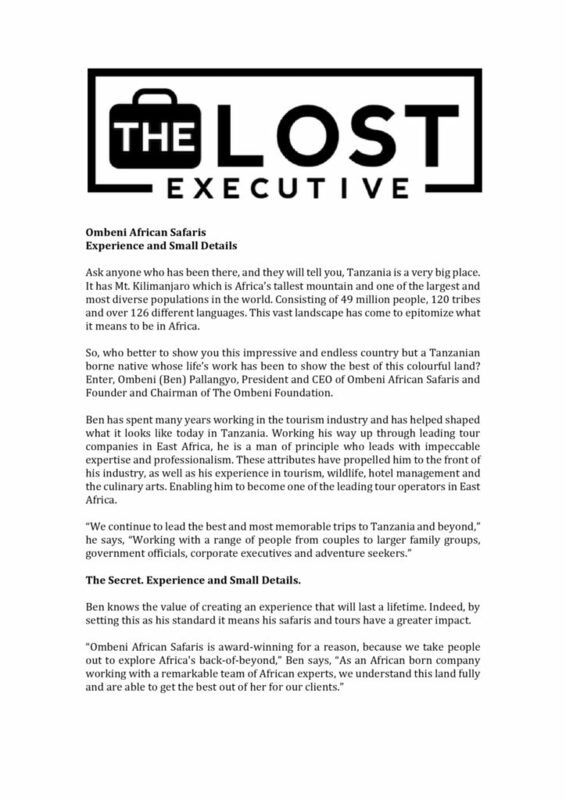 “My tours are very personal because we have family, often my own family, running operations. 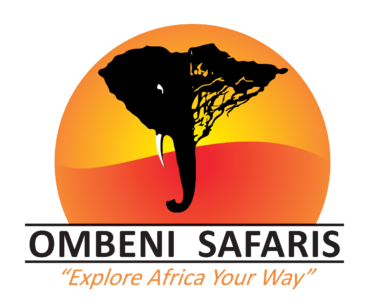 And we really get to know our customers so closely they become like family, too,” says 31-year-old Ben, who started his company at 19 years old, after graduating from Nairobi Institute with tourism, hotel management and linguistics degrees. 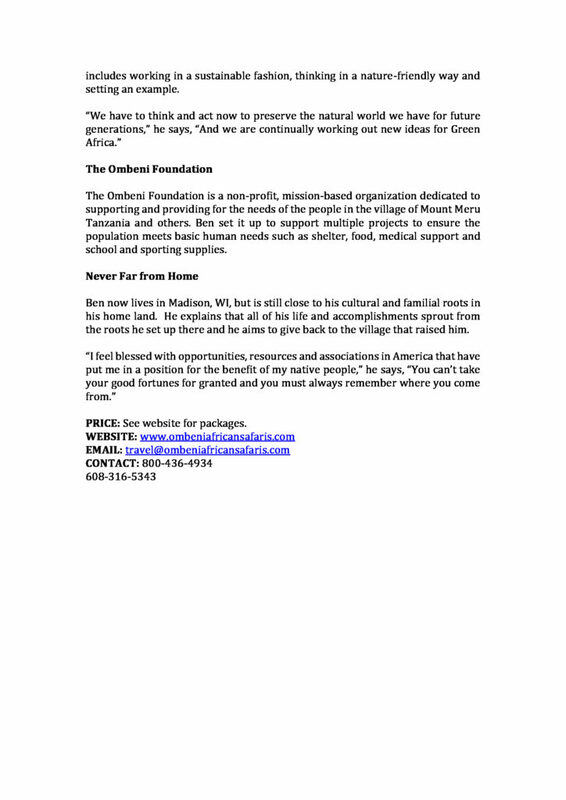 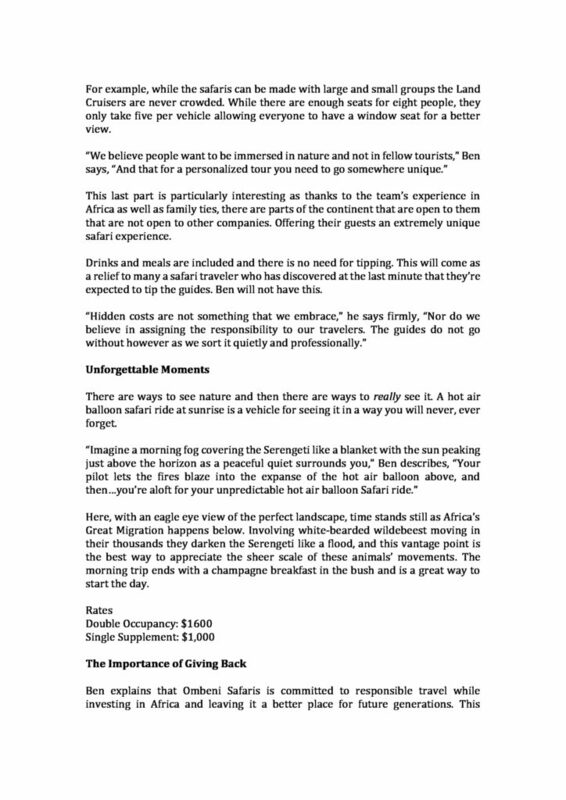 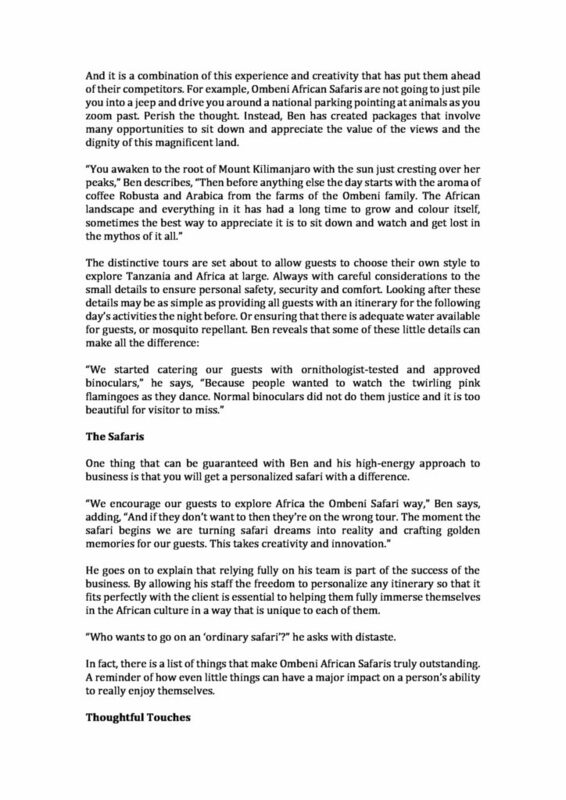 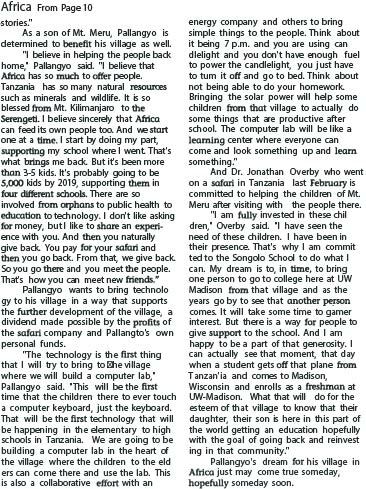 “The engine driving Pallangyo’s Tanzania dreams — he’s also helping fund an orphanage and has hopes for a medical clinic — is Ombeni African Safaris (ombeniafricansafaris.com), a company he founded with family and friends in Tanzania and continues to operate from his current outpost in Madison.